Our smallest skeleton is a fun gift. A tiny facsimile of a human skeleton, Pete's arms and legs are affixed with screws that allow for "realistic" movement. Elbows and knees are also jointed. 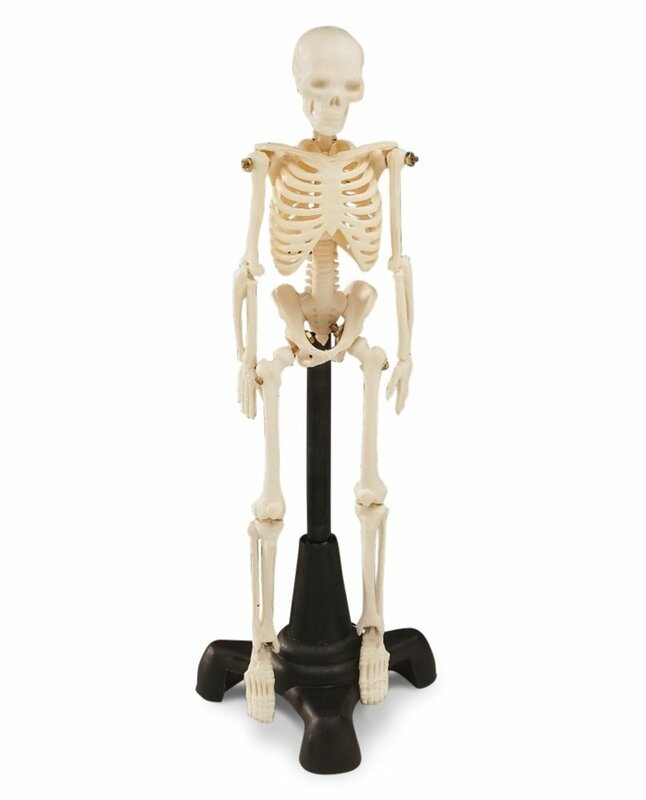 Size: Skeleton is 8-1/2 " tall, 9-1/2 inches tall when mounted on its own black plastic stand (included). Includes replacement screws.